Very peaceful community, Their service is on point. Everytime we need to be fix in apartment they take care of it right away, like plumbing, electrical they response right away. The maintenance is definitely amazing! The staff is very friendly and knowledgeable. The response is very quick. When I went into the office to inquire about availability, I was greeted by one of the most friendliest person, Iyana. She made me feel at home almost immediately!! Nilsa R., thank you for your kind review; we are happy to pass along your comments to the team here at Seabourn Cove! Michael K., thank you for your kind review; we are happy to pass along your comments to the team here at Seabourn Cove! Great place to live. Location is nice. Price is fair. Units aren’t the newest, but still nice. Friendly and awesome maintenance! Front desk staff are very hard to reach and not as eager to help. Kiarra P., thank you for your kind review; we are happy to pass along your comments to the team here at Seabourn Cove! Some of the greatest maintenance personnel. Always willing to accommodate your needs. Property is always kept up, the amenities are some of the greatest. Brenda D., thank you for your kind review; we are happy to pass along your comments to the team here at Seabourn Cove! Working with Gretchen was an absolute pleasure. I really love the community and the unit itself and location are perfect. The Maintenance Staff are very helpful, kind and courteous. Looking forward to my stay here at Seabourn Cove. John R., we are so happy to read such a great review about Seabourn Cove! This place feels so loving. The people around are nice and when i took my kids to the pool they were so polite. The gym is nice and one can actually get a nice workout in peace. Marcus D., thank you for your kind words and this wonderful review! Overall great place to live. Amazing pool and I love having an electric car charger out front. Amazing location so close to Delray and West Palm. Hi Canty G., thank you so much for your positive comments about Seabourn Cove! We’ve only been here a month so far, but we absolutely love it! The neighborhood is always so clean when I’m out walking my dog. We also love how close we are to the beach, so we can ride our bikes! Jennifer G., thank you for your kind words and this wonderful review! Seabourn cove feels like home :) it’s very spacious, clean , and new. The pool is beautiful and everyone is very friendly. The dog park is perfect for my pet! Hi Bridgette S., thank you so much for your positive comments about Seabourn Cove! Hello Rona S., we appreciate you taking the time to leave us this feedback. Great community, nice surroundings, easy access. Excellent place for the price we where looking for. Very attentive staff, very pleasant atmosphere when you walk in for the firts time and the closing process, smooth. Edwin R., we are so happy to read such a great review about Seabourn Cove! Alli M., thank you for your kind review; we are happy to pass along your comments to the team here at Seabourn Cove! My husband and I love living at seabourn cove. It is quiet and no one bothers you. We are close to downtown delray and lots of restaurants and shops. Meredith G., thank you for your kind review; we are happy to pass along your comments to the team here at Seabourn Cove! We are so glad you renewed your lease with us Katrina. Please let us know if you need anything in the future. Moved in to the community in November. It's been very good so far. I have no complaints. Well maybe just one ... I notice that some residents don't clean up after their pets. If that happened more often I would have no complaints at all. Tim R., thank you for your kind review; we are happy to pass along your comments to the team here at Seabourn Cove! I have enjoyed living at Seabourn Cove. It is clean, quiet, and well maintained. The amenities are fantastic. It’s great having covered parking and updated apartment features. 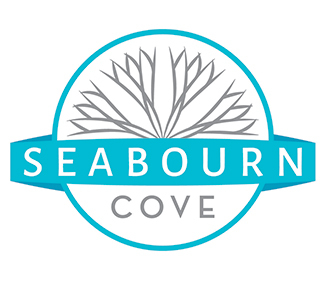 Seabourn Cove has Large well appointed units at a competitive price. Efficient and responsive maintenance. Well kept grounds and adequate surface parking as well as garages in townhouses. At&t us a super problem, We should have options. Dog park was ruined when turf was torn out, now it's a mud mess that people dog want to bring their dogs in anymore. Hi Natalie, Thank you for your feedback. The decision to remove the turf was a hard one. We will have some upgrades to the dog park in the very near future. Please don't hesitate to reach out if there's anything additional we can do for you. I had mostly great times living at Seabourn Cove. The pool is wonderful. The outdoor grill area at phase 2 needs maintenance almost always, so was a hit or miss if I could use it. The gym at phase 2 was great when I first moved in but now I think the community has forgotten about it- missing weights, broken machines, tv remote has no batteries, no water. The apartment itself was great and whenever I made a maintenance request the guys would be there within 24 hours. The big dogs in the neighborhood terrified my small dogs. I have no cell service any where in the community so Wi-Fi by the pool or grill area would be nice update. Hi Kelley, Thank you for your feedback. We will be sure that it does not look like we forgotten about the phase II gym. In our efforts to be a Green Community, we took out the water coolers and installed filtered water bottle fill up stations at the water fountains. We have Seabourn Cove reusable water bottles here in the office. Thanks again for taking the time to leave us this information about the Community. Take care! Neighborhood is nice and quiet. It feels safe. Sometimes difficult for people to find on GPS. Only other concern would be the thin walls between apartments due to the fact that many people have dogs. Elizabeth B., thank you for your kind review; we are happy to pass along your comments to the team here at Seabourn Cove! We have lived here for the past 4 years. It's similar to living on a resort with the amenities such as the pool, grill area, gym and saunas. Ryan E., thank you for your kind review; we are happy to pass along your comments to the team here at Seabourn Cove! Everything broke the 2nd Day we Moved however they were quick to come and fix it all. So that shows they have great upkeep with the property. I do like that it’s a gated community but I do not like that they only lock at night they should remain locked all day for security purposes. Hi Rosa, we appreciate your honest feedback, as we are always looking for ways to improve. We do apologize that items in your home stopped working right after you moved in. It is good to hear that maintenance came and repaired everything promptly. Please do not hesitate to reach out if you need anything else. We love all the amenities the fitness center the pool. The one thing we wish we could change is the guest parking. It’s impossible to have guests over. Edward, Thank you for your review; we are happy to pass along your comments to the team here at Seabourn Cove! The grounds seem to be neglected lately. Rent increase every renewal and no resident retention. Amenities are good. Overall the community is good. Latasha, thank you for your review; we are happy to pass along your comments to the team here at Seabourn Cove!